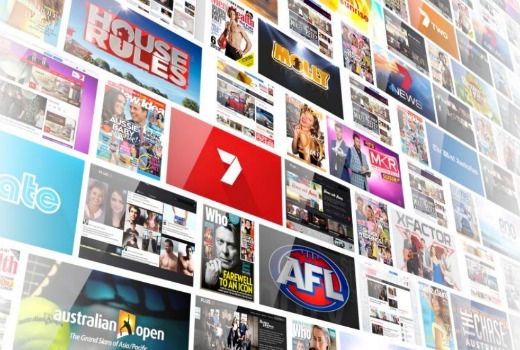 Seven West Media has reported a first half net profit of $135.2 million. The result turns around a $993.6 million loss a year earlier after major writedowns worth $1.15 billion. The profit comes amid a flat metro TV market and renewed calls to remove television licence fees. EBITDA of $229.3 million is down from $250.7 million in the prior corresponding period with EBIT of $205.4 million down from $226.9 million in the prior corresponding period. Total television revenue is down 2%, equivalent to $14.3 million. CEO and Managing Director of Seven West Media, Tim Worner, said: “Today’s result in an extraordinarily competitive and rapidly changing market is positive. We are delivering leadership in broadcast television, and our digital and publishing businesses continue to deliver market-leading margins. “Our company’s focus is clear: driving home our leadership in content creation and to use the strengths of our media businesses to drive better outcomes for our audiences and our advertisers on digital platforms. We are building and transforming our businesses, managing our costs, focusing on our core strength of content creation and rapidly expanding our presence across all communications devices. I think I would charge them more as 7 and Stokes move toward a monopoly position in WA provided NEWS sell the Sunday Times its called a newspaper but an advertising pamphlet is a better description.